Part of the Studia Fennica Litteraria series. 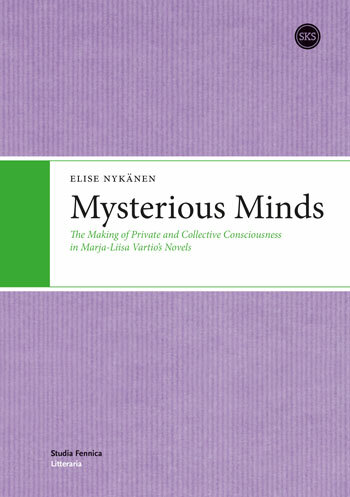 This study examines the narrative tools, techniques, and structures that Marja-Liisa Vartio, a classic of Finnish post-war modernism, used in presenting fictional minds in her narrative prose. The study contributes to the academic discussion on formal and thematic conventions of modernism by addressing the ways in which fictional minds work in interaction, and in relation to the enfolding fictional world. The epistemic problem of how accurately the world, the self, and the other can be known is approached by analyzing two co-operating ways of portraying fictional minds, both from external and internal perspectives. The external perspective relies on detachment and emotional restraint dominating in Vartio’s early novels Se on sitten kevät and Mies kuin mies, tyttö kuin tyttö. The internal perspective pertains to the mental processes of self-reflection, speculation, and excessive imagining that gain more importance in her later novels Kaikki naiset näkevät unia, Tunteet, and Hänen olivat linnut.